Maiko Dressup: Take One! | Ready, Set, Kimono! 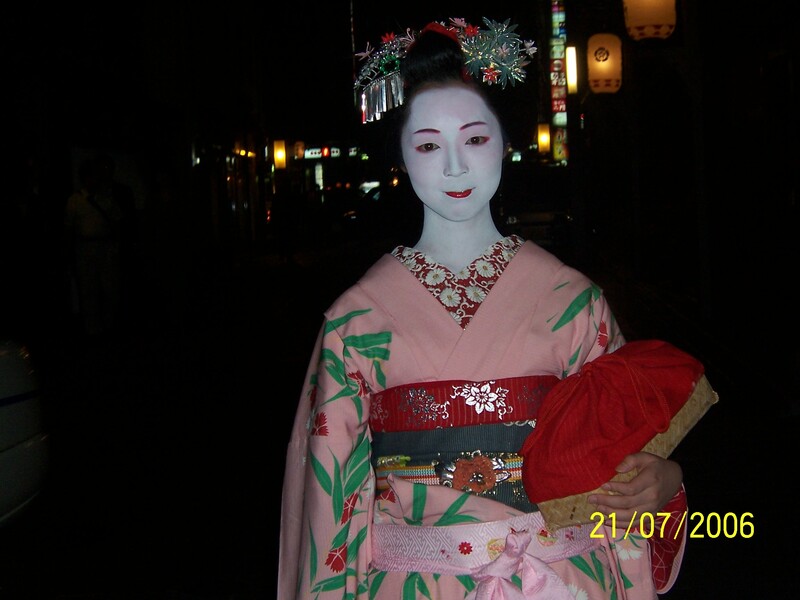 This is a maiko, an apprentice geisha, and it’s a very popular tourist activity in Kyoto for people to dress up in kimono and get their makeup done in the traditional all-white face. 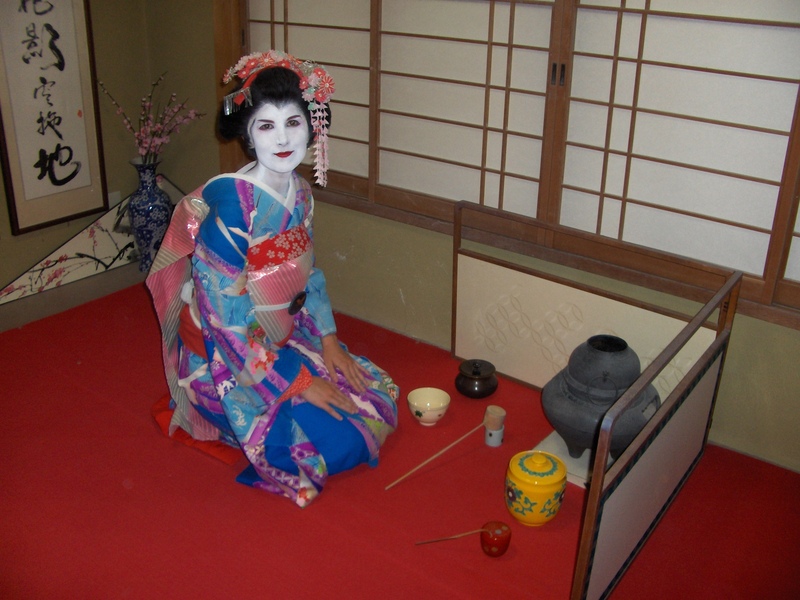 There are lots of studios that provide this service, and nowadays you’re just as likely to see these tourists as you are to see an actual geisha or maiko. 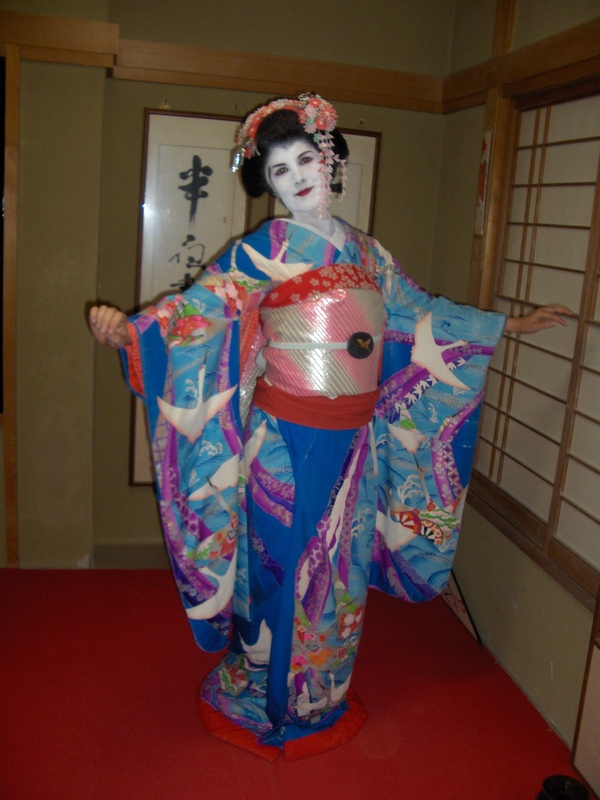 This is the story of my first experience dressing up as a maiko. My first trip to Japan was in 2006. I was a solo backpacker with no clue what I was doing. I wanted to go to Gion Matsuri, and during the course of the day, I met two young women who had just returned from a working holiday in Canada. They were planning to do a maiko dressup later in the afternoon and they invited me along. I remember that the kimono were old and worn. Mine had some visible wear and damage, but I just chalked it up to it being a rental. I remember that the wig hurt. I remember that they had a small garden set up for people to take photos with their own camera. I remember that we couldn’t go outside. But what I most remember about the experience was the reaction I got when I got home. I hadn’t told my parents about the photos. I wanted it to be a surprise and see if they recognized me. When I got home, this is the conversation that we had. Me: I met a geisha in Kyoto and she was nice enough to let me take photos of her. Dad: Looks like a man. Seriously, Best. Reaction. Ever. I still laugh about it to this day. And honestly, I can’t quite bring myself to disagree with my dad. Maiko makeup just didn’t quite work on me. This time.